Readers panel: Are irresponsible patients to blame for the high number of missed NHS appointments? While the public has a right to healthcare, it also has a responsibility to use services wisely. In an era of increasingly scarce resources it is imperative that NHS appointments are attended, but this hints at ‘victim blaming’. Appointments can be missed for various reasons, such as lack of access to transport or money or disenfranchised populations with chaotic lifestyles or mental health problems. We need evidence showing why people do not attend appointments, and must work together to streamline services and reduce waste. I turned up for an appointment as a patient to find it had been cancelled. The letter informing me of this was sent by second-class post, arriving the day after the appointment, so is it not always the patient’s fault when appointments are missed. Patients who miss appointments might be in hospital, have been doubled-booked for appointments, not know their appointment has been changed or go to the wrong clinic because of poor signposting. We should be asking why all these appointments are being missed, but it’s easier to just blame the patients. Although some NHS patients may act irresponsibly, the majority will simply have forgotten about their appointment. We’re only human after all. Arranging appointments months in advance doesn’t help – who knows what they’ll be doing six months from now on a Tuesday afternoon? We send reminders, but a letter can just as easily be overlooked. Some might say charges are the next step, but more can and should be done to address this first. We need to seek innovative solutions before imposing fines, as patients already pay for services through their taxes. To identify just one source or reason for the volume of missed appointments fails to address a health and social problem. 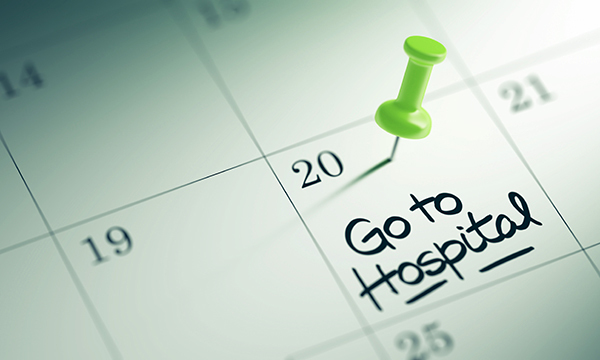 While missing NHS appointments is a key issue, other important factors need to be considered, such as busy lifestyles making it harder to get time off work. As waiting times increase, an acute need might resolve itself before the patient is seen, or they may require emergency care if their condition deteriorates while waiting. We need solutions to the problem rather than assigning blame.